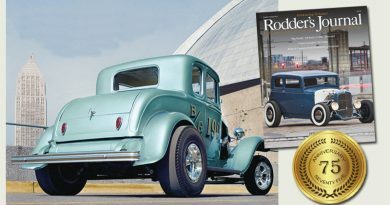 Fat fender fans can rejoice with John and Sherry Carstein’s breathtaking 1940 Ford coupe gracing the cover of this edition. 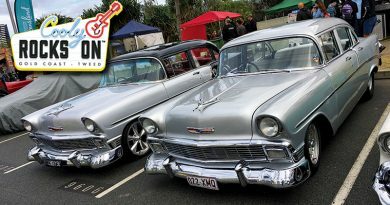 As desirable as it is beautiful, we had a great interview with John during which he took us through the ins and otus of the long term build. 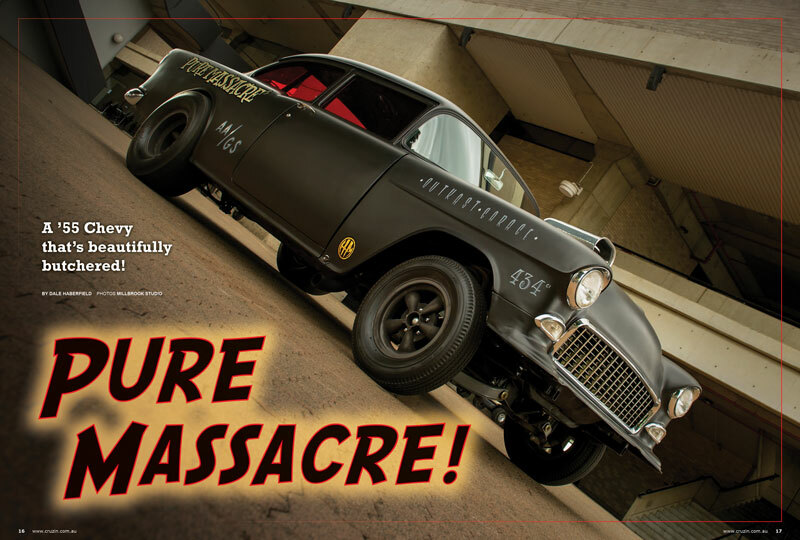 It’s muscular too with a strong 460 big block under the hood, but maybe not enough for the blown 348-come-434 W-motor in Andy Colalillo’s ‘Pure Massacre’ 1955 Chevy gasser. 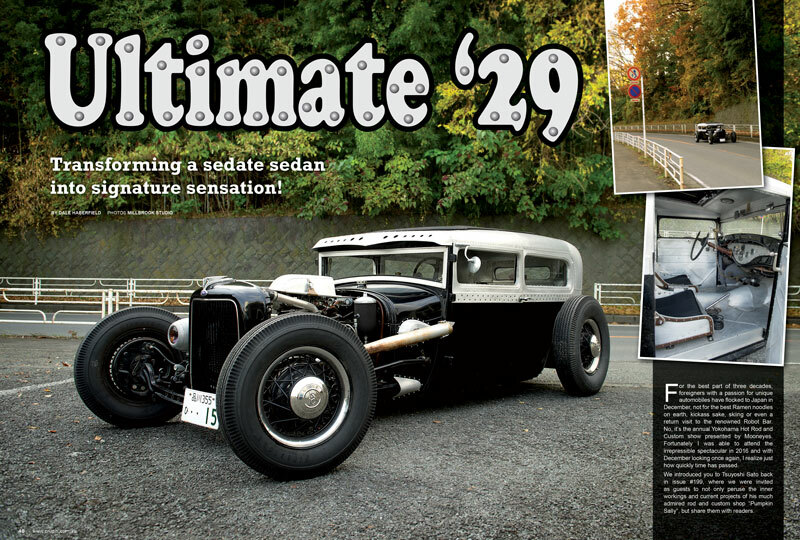 We’d buy a ticket to that drag race. 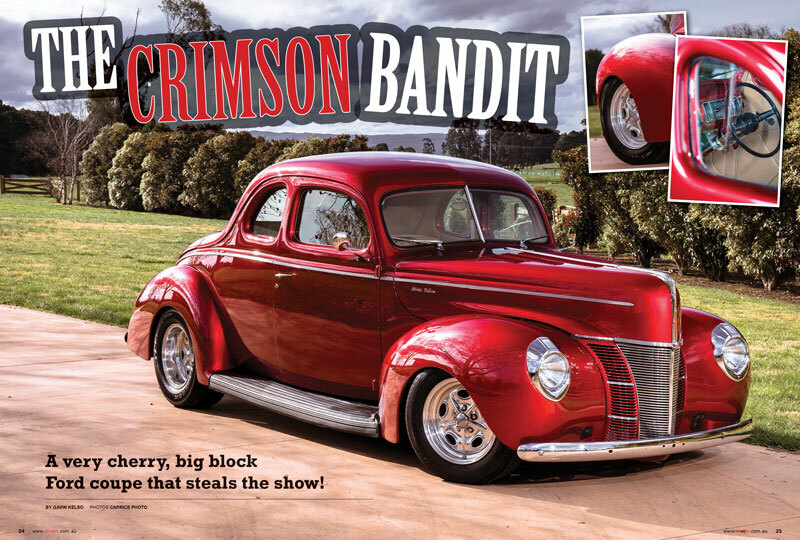 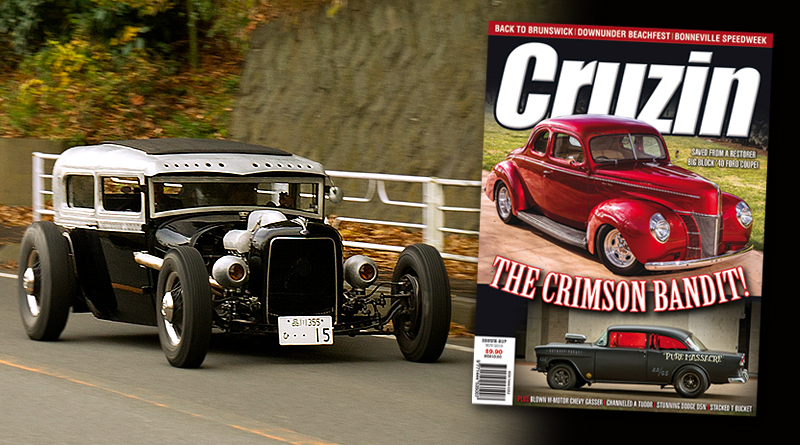 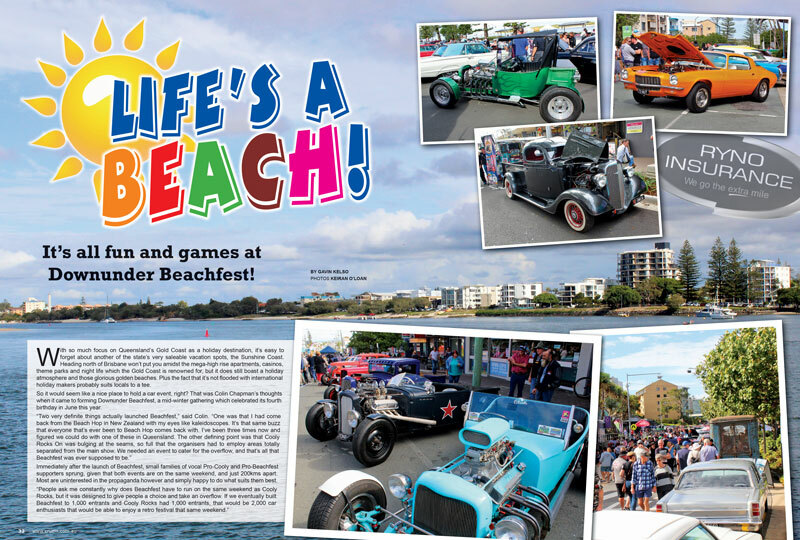 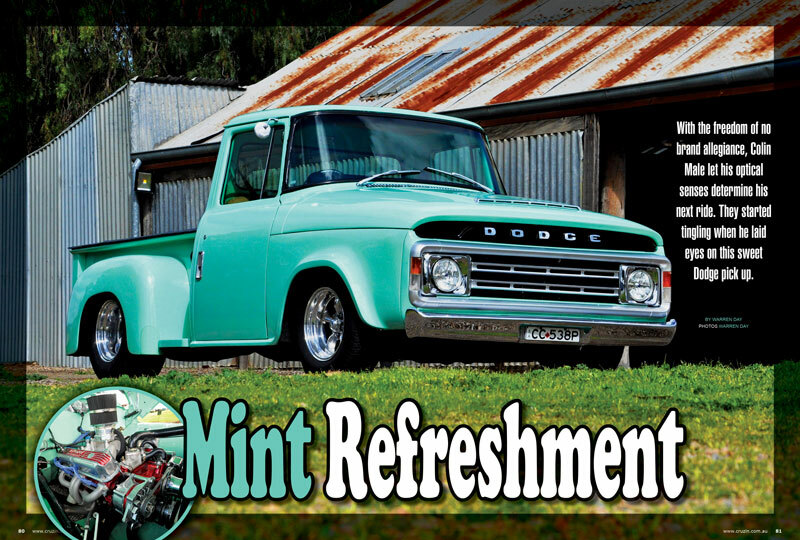 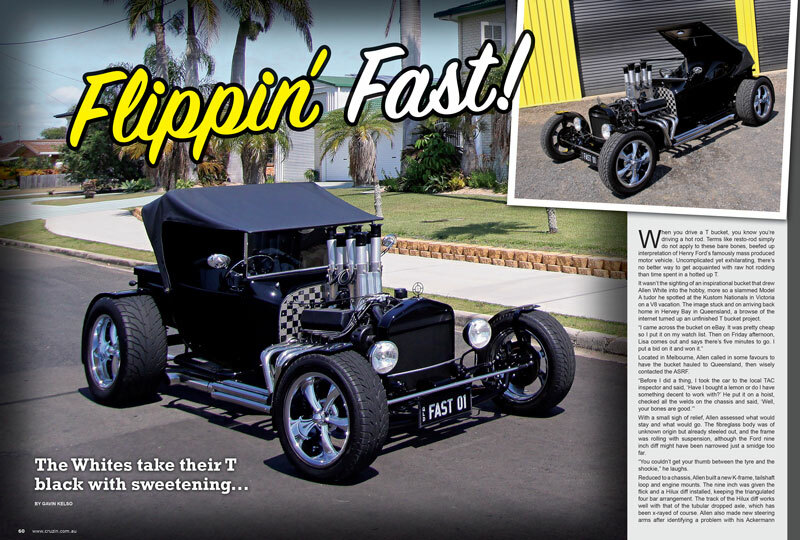 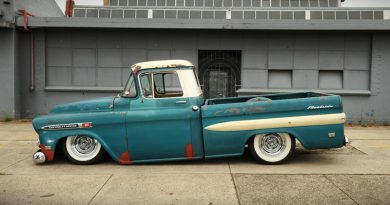 Inside we check out a flip top T from Queensland, a hot rod Dodge pickup from South Australia, and a channelled Model A from Japan that’s a fabricator’s delight. 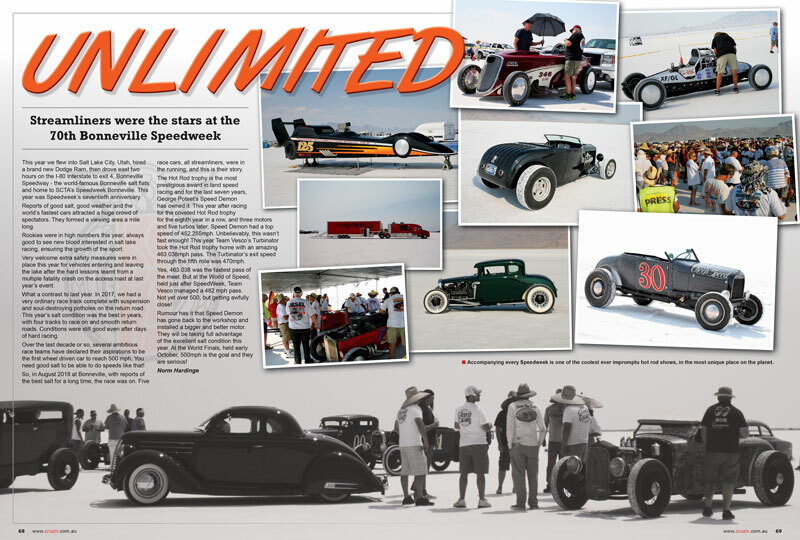 We visit Downunder Beachfest, the 10th anniversary of the Back to Brunswick run, and Aussie Norm takes us for a walk around Bonneville where five streamliners battled it out for 500mph honours at this year’s Bonneville Speedweek. 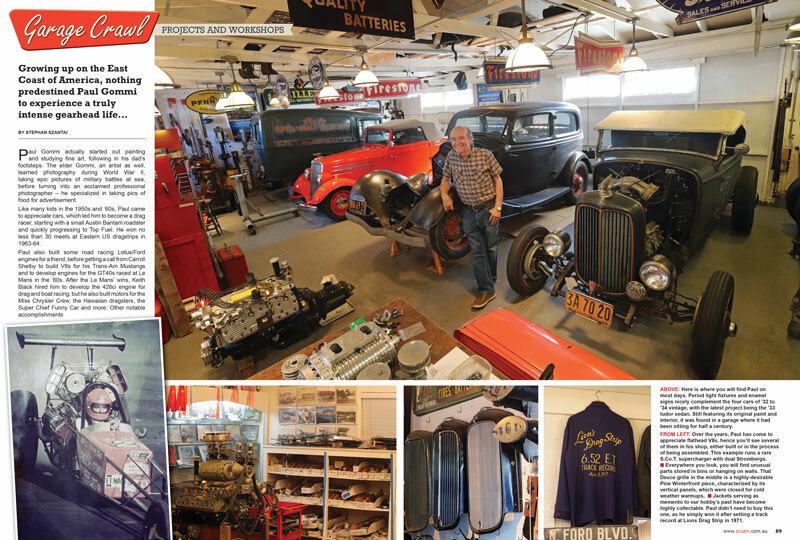 We also take a look inside the garage of Californian hot rodder and drag racer, Paul Gommi. 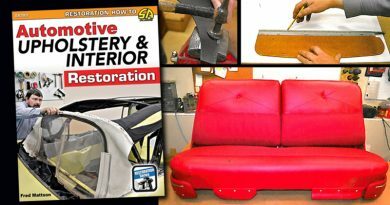 Grab it at your local, or buy your copy online at www.drivebuy.net.au. 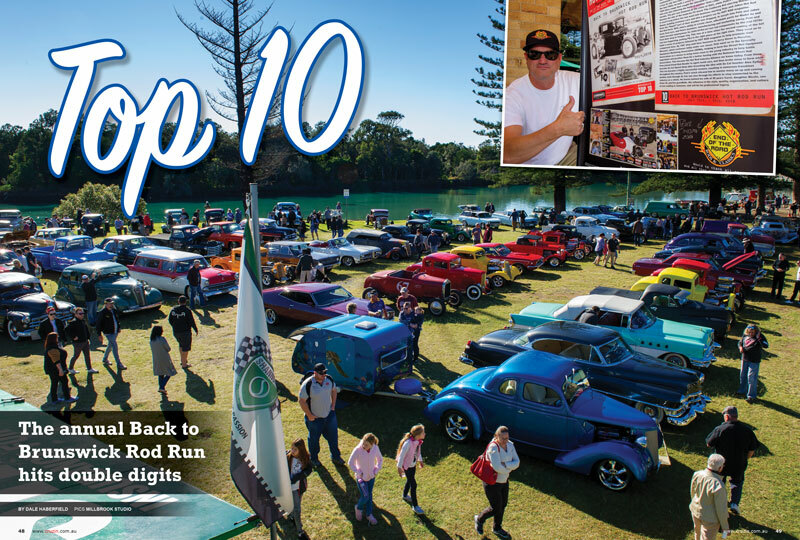 April 6, 2017 gavin@cruzin.com.au Comments Off on GROUNDHOG!